With vibrant, magnetic energy, she manifests the life she wants to live. She is creative, connected, nourished and nourishing. She floats effortlessly between the spiritual and material worlds and recognizes the value in both. With the love of her life by her side, she is ready to embark on this new chapter with unshakable confidence in her heart and unlimited peace in her soul. 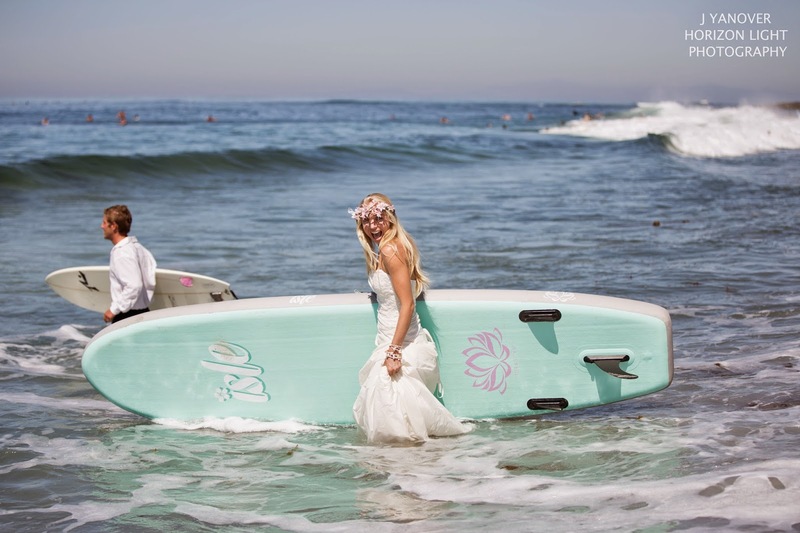 THE ZEN BRIDE is an essence that every woman should feel on her wedding day. When I got married in 2010, I was in the middle of my yoga teacher training and used my new-found breathing and meditation practice to ensure that I had positive energy swirling all around me. I am on a mission to help women come into this space and have the stress-free wedding of their dreams. 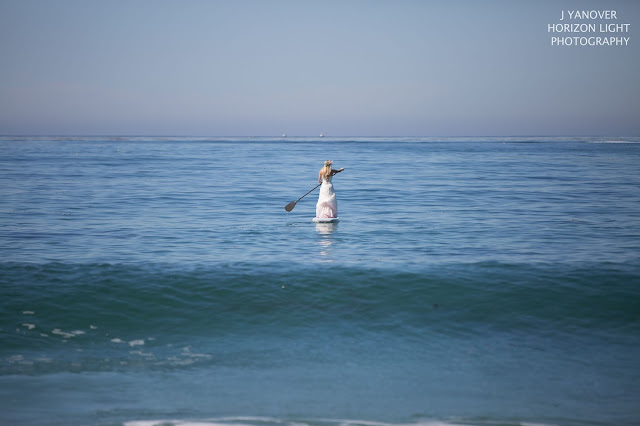 My friend Janalyn Yanover (of Horizon Light Photography) and I created the Zen Bride concept to encourage the wedding industry to take a big, giant exhale and remember the purpose of it all -- two people joining their lives together from a place of infinite love and respect. 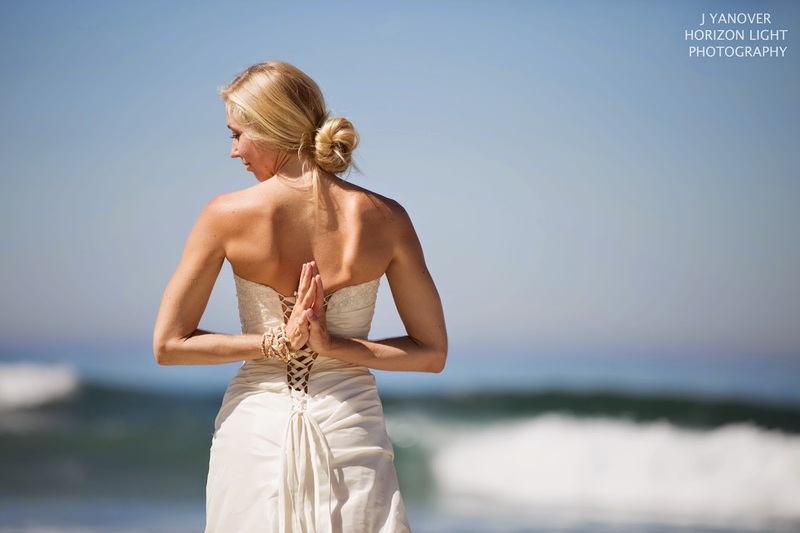 With our expertise as yoga teachers, spiritual guides, event planner and professional wedding photographer, we create an opportunity for the Bride to completely relax, focus on her breath, and become the most beautiful, radiant version of herself. 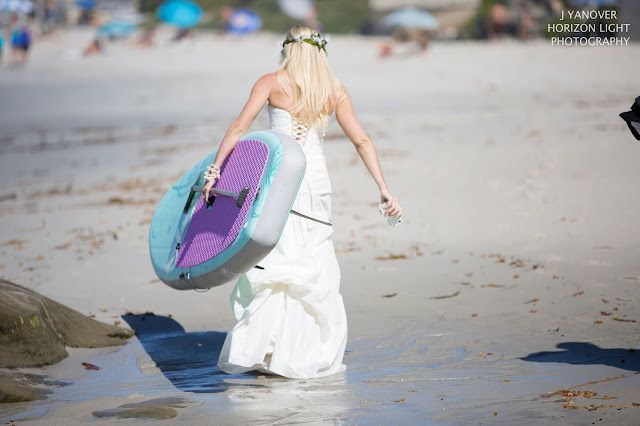 We invite you to wander through our ZEN BRIDE photojournal -- a collection of images Janalyn captured of me channeling matrimonial bliss and having some fun with acro-yoga, stand-up paddleboard yoga and even trashing my dress in the Pacific Ocean! 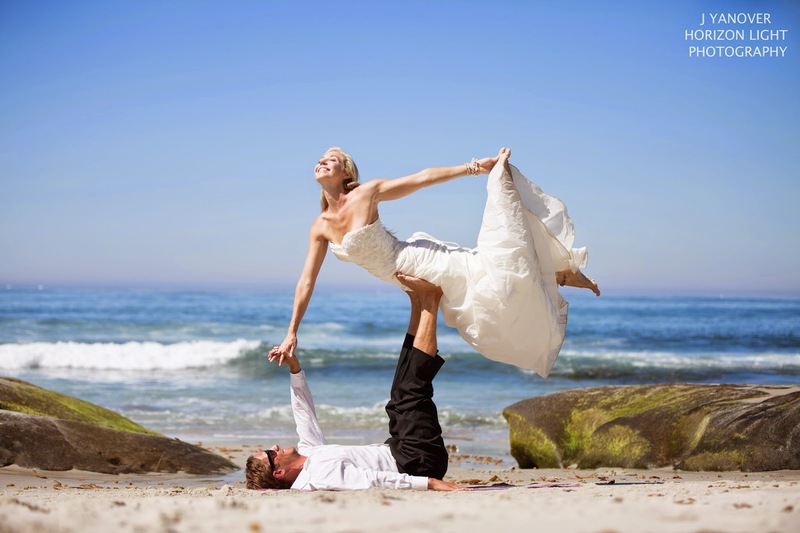 "I like yoga, but why should I include it in my wedding?" They have a list of approved caterers and valet parkers which you are required to choose from. The event coordinator at wedding venue in Los Angeles was very professional and cool enough to let us come in and tour on a Saturday while another wedding was setting up. such a beautiful couple, i hope i will someday find a beautiful husband like yours, dreams dreams!but they come true one day!i wish you a happy life together!